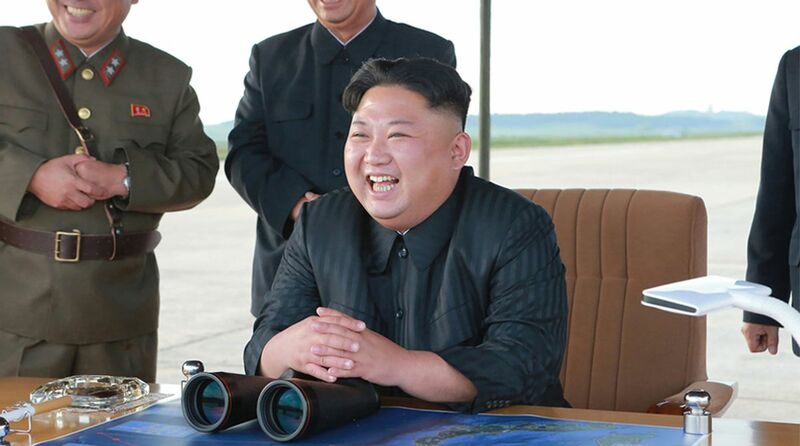 Kim Jong Un inspected the testing of a newly developed high-tech tactical weapon at the Academy of National Defence Science, North Korea’s state broadcaster said. North Korean leader Kim Jong Un has supervised the testing of a “high-tech” new weapon, Pyongyang’s state media reported Friday according to Yonhap news agency. “Kim Jong Un inspected the testing of a newly developed high-tech tactical weapon at the Academy of National Defence Science,” Yonhap cited the North’s state broadcaster as saying. Pyongyang’s suspension of nuclear weapon and ballistic missile tests has been key to this year’s rapid diplomatic developments and North Korean-US negotiations and has been repeatedly praised by President Donald Trump. Trump and Kim met in a historic summit in Singapore in June, where they signed a vaguely-worded document on denuclearisation of the peninsula. “That pit of dread you felt in your stomach when you read this is your reminder that the DPRK missile test pause is voluntary, partial, and can fail without notice if it isn’t explicitly codified,” Adam Mount of the Federation of American Scientists tweeted in response to the report, using the country’s official acronym.